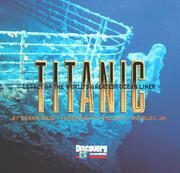 In September 1985 Ballard and a Franco-American expedition discovered the wreck of the Titanic . Ballard used a specially designed remote imaging system to locate and photograph the wreck and then returned the following year to further survey and photograph the site in a three-person submarine. This pictorial record of his expedition is filled with good quality color and black-and-white pictures. Wherever possible he compares the modern-day pictures to original ones of the Titanic . After briefly discussing other attempts to find the Titanic , he gives a solid account of the sinking, then details the events that led to the ship&apos;s discovery. 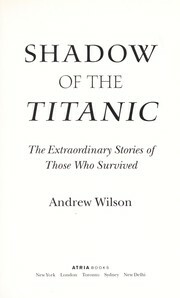 Drawing on a wealth of previously unpublished letters, memoirs, and diaries as well as interviews with survivors&apos; family members, award-winning journalist and author Andrew Wilson reveals how some used their experience to propel themselves on to fame, while others were so racked with guilt they spent the rest of their lives under the Titanic&apos;s shadow. 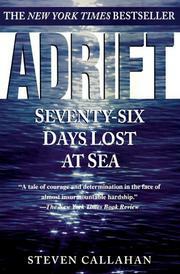 Andrew Wilson brings to life the colorful voices of many of those who lived to tell the tale, from famous survivors like Madeleine Astor (who became a bride, a widow, an heiress, and a mother all within a year), Lady Duff Gordon, and White Star Line chairman J. Bruce Ismay, to lesser known second- and third-class passengers such as the Navratil brothers--who were traveling under assumed names because they were being abducted by their father.